Hunting used to be a tedious side job for MMORPG players. Monster hunting slowly gained popularity over the years and has now reached fever pitch with various titles using it as a core mechanic. 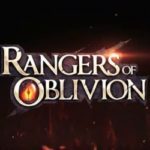 Rangers Of Oblivion hopes to be the pioneer in this evolved genre on the mobile platform. 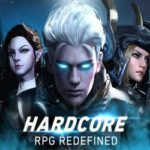 The game is set for release early 2019 for Android and iOS devices. Rangers Of Oblivion features the world of Malheim, a vast world filled with all shapes and sizes of monsters. The game boasts of highly detailed landscapes complete with day and night cycles, dynamic weather systems, ocean tides, and swaying foliage. Players who enter this world can either work together or journey solo as they work through the different monster hunting quests. As the title suggests, avatars in this game are called Rangers. These Rangers defend the land from monsters, hunt them down, and harvest the carcass for spoils. Various weapons, armors, and other items can be crafted from the loot. Players may choose to arm themselves with one of the six weapon types: Greatsword, Lance, Longbow, Twin Blades, Armored Gauntlets, and Staff. 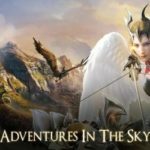 Each weapon offers a different set of skills and attributes as well as a unique combat style. The game also features more than ten game modes that allows players to gather resources, take on challenges, capture wild animals, search for treasure, cook meals, and so on. The different game modes are designed to help players experience the life of a Ranger. While these all provide benefits for players, Rangers may choose to focus on certain aspects that suit their play style. The beta test for Rangers Of Oblivion began on December 5, but no official date of release has been announced as of this writing. 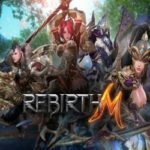 Those who want to pre-register may visit the game’s official website. Pre-registration rewards include a Hunting Voucher Pack, Bag Extension Vouchers, and some Silver.